The golf club that lies on a 152-hectare man-made valley, offers not only the vast golf course it had, but also the scenic view of the Taal Volcano. In addition to the scenic view, the Splendido Taal Golf Club had a contoured Tifdwarf on the greens while Evergreen covers the rest of the fairways like most of the modern golf courses do. The course was designed by the World’s number 1 in Golf during the 80’sand 90’s, Australian professional golfer Greg Norman. Being it close to the mountain ridges, the uneven valleys and hillsides requires most of the players to go through the course by a golf cart and must be accompanied by a knowledgeable caddy to determine the actual distances in the course. 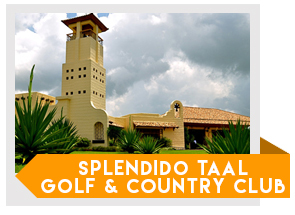 The golf club have facilities that provides the players’ further leisure and comfort such as driving range, putting greens, male & female shower & locker rooms, restaurant, coffee shop, bar, function rooms, golfer’s lounge, fine dining, view deck, and pro shop; and for relaxation, sauna, jacuzzi, and massage are also offered in the club. 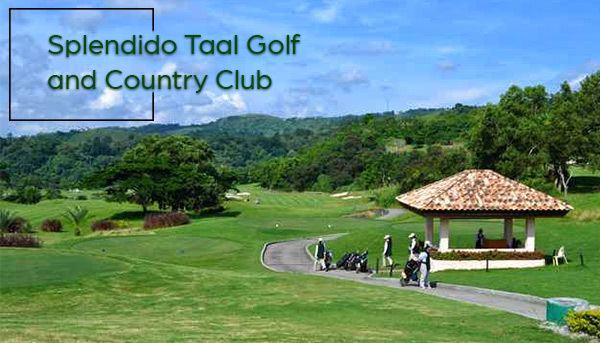 The Splendido Taal Golf Club is located along the Tagayatay Ridge Road,Laurel, Batangas, and is approximately 90 minutes away from Metro Manila. There are two ways to get there, one is by the route of the South Super Highway,and another is by the Coastal Road route.